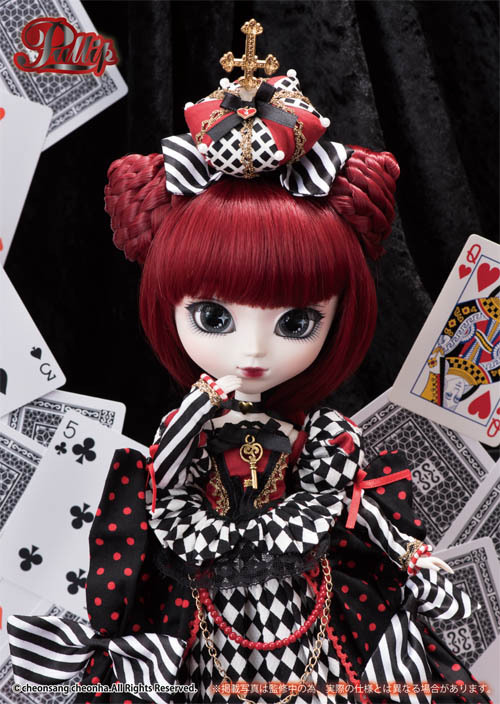 Groove announced Pullip Optical Queen via their blog earlier today. She is to be released in February of next year in Japan, she will not be released in the US until one month later (making her the perfect birthday gift for myself to myself in March!). 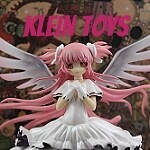 She has a MSRP of 20000 yen which is about $175.75 as of this writing. 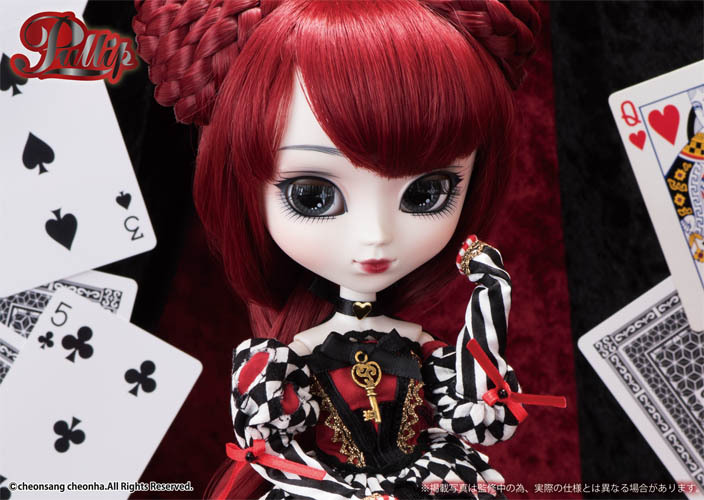 Pullip Optical Queen is a part of the Optical Alice series, while we had seen prototypes of other dolls in the Optical Alice series Pullip Optical Alice was the only doll to be released until now and that was way back in January of 2017. As time went on with no additional news of any of the other releases, I think a lot of people had given up hope on them I remember in particular people lamenting about the possibility of the Optical Queen not being released. I was very excited about seeing the news this morning as I had myself had feared this series forgotten. 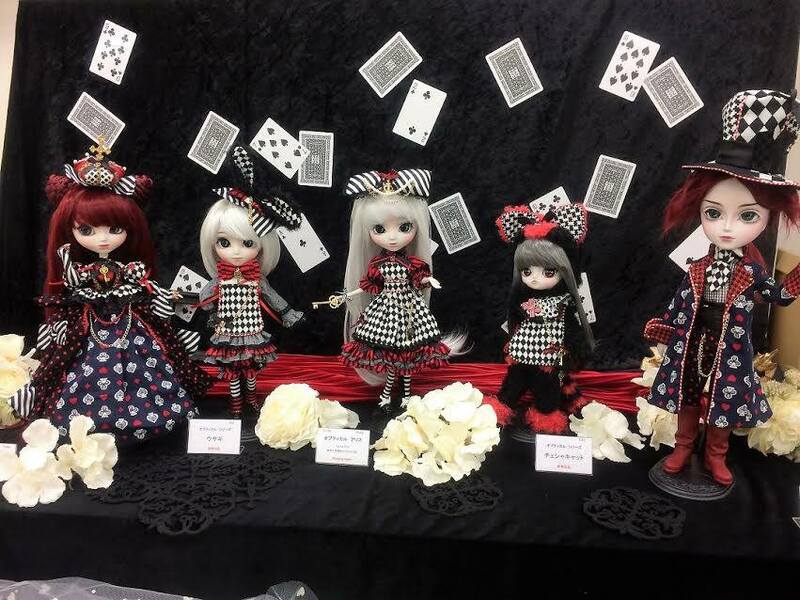 Looking at the previous picture of the prototypes of the Optical Alice series of dolls, it looks as though have changed a few things (her inner skirt for example is now the same black/white fabric used in other parts of her outfit) and her wig styling has been altered slightly. It also looks like her lips may now be a slightly more dramatic shade of red than in the prototype but the picture from the doll show isn’t that great so I can’t be sure. I wonder if that means we will perhaps see the other dolls in this series released someday? Only time will tell of course but I for one am hoping that the Isul will get released especially since I love and adore Isuls but there have not many Isul releases recently. 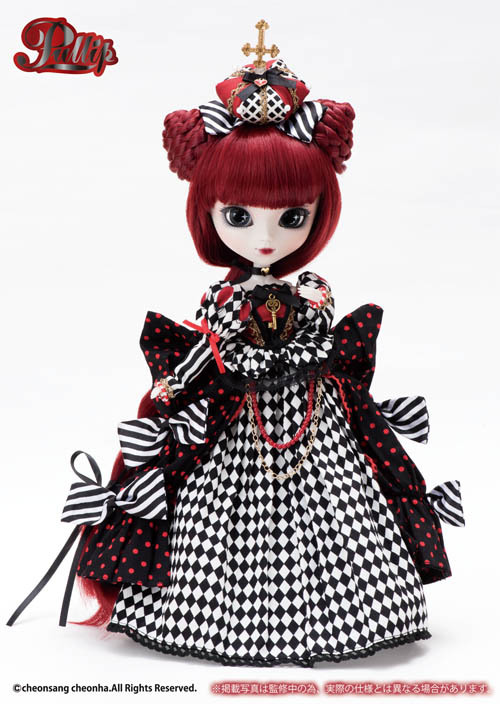 Optical Alice is the only other doll released in the line so far, she was released almost two years ago now if anyone is interested they can read my write up of Pullip Optical Alice here. I really enjoyed photographing her and still think that she is a very special release. Optical Queen definitely has a flair for the dramatic! I love the mix of different patterns, the contrast of the black, white and red is very striking and the little pops of gold accents work really with the rest of her color scheme. Overall I really love her stock outfit but I’m not sure the cross on her crown was a necessary element it is bordering on comically large to me. Her dress without the over-skirt looks quite nice as well, I personally prefer it with the over-skirt on but versatility is good and I realize that some may feel it is too busy with the over-skirt. She looks like an elegent lady! I know some people are put off by just how many Alice in Wonderland themed dolls over the years but honestly if you remove the crown and maybe leave the overskirt off she could just be a stylish aristocrat or lady of the court. 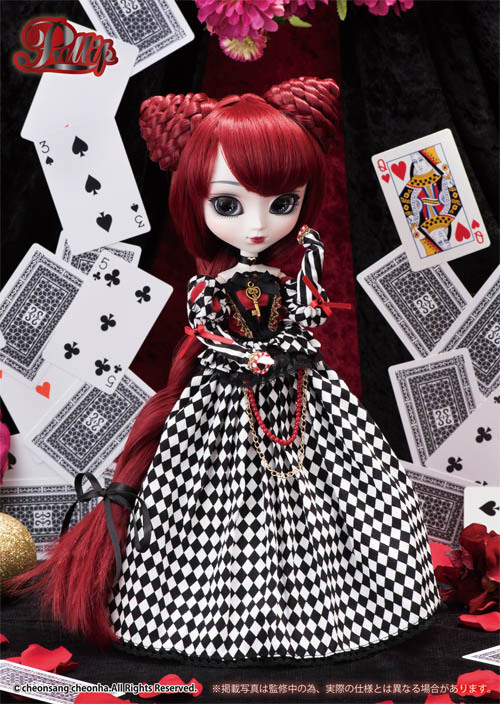 Even as a non-Wonderland themed doll she would be gorgeous, personally I love all things Alice in Wonderland but I realize some people have had their fill of trips down the rabbit hole. Optical Queen has a gorgeous face up! 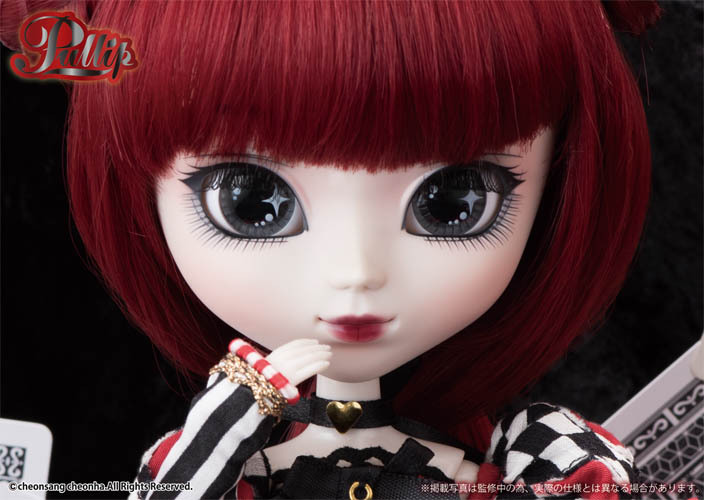 She does have some elements that remind me of previous releases the style of her lips remind me of Pullip Kuhn and her eye makeup reminds me a bit of Rida’s (obviously Optical Queen has a more exaggerated wing to her eyelashes). I think the combination suits her and is not overly dramatic like Classical Queen who I feel that the lips were a little overly made up. 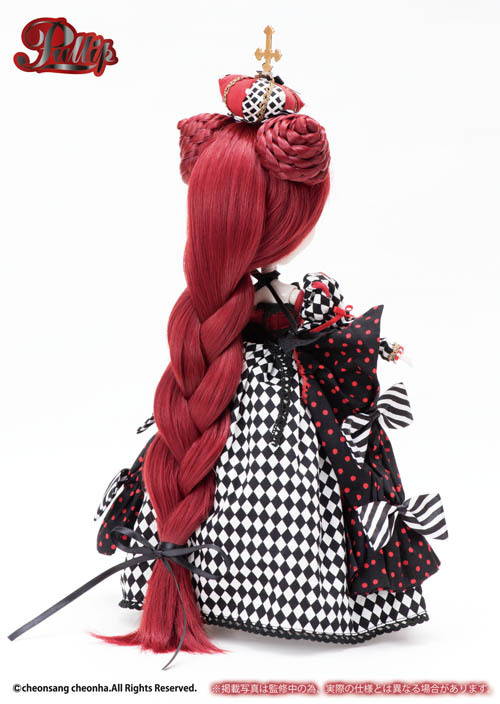 I love her braided hair spikes, her wig choice both style/color are a bit reminescent of Pullip Lunatic Queen but I like that it’s kind of in a half up/half down style with the rest of her hair being an elegent braid . Back view of Optical Queen. 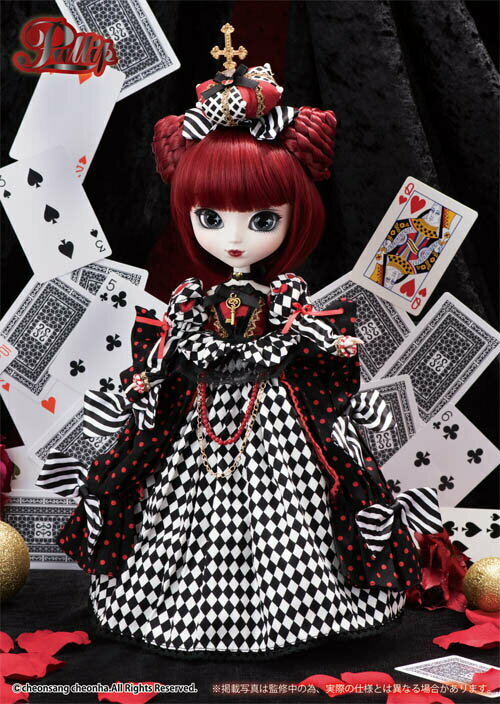 I love Alice in Wonderland and think she is a gorgeous doll so for me she is must get! How about you all are you going ot preorder or is off with her head? Just an observation but if Groove keeps on releasing Pullips in larger dresses I feel like there will be another first quarter run to Ikea in my future as I am definitely running out of space at this point. 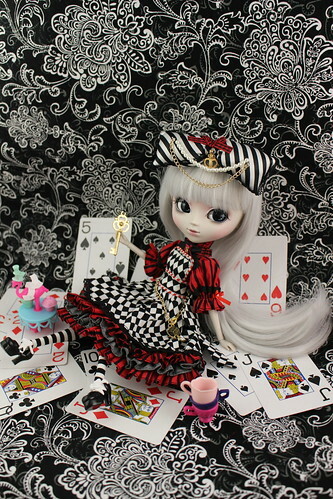 This entry was posted in Pullip and tagged alice in wonderland, asian fashion doll, fashion doll, optical alice, optical alice series, optical queen, Pullip. Bookmark the permalink.